Jesus’ Feet is a non profit charity founded by Terri Temple, president of The Godly Woman’s Guide established in 2010. Our mission is to help care for the world’s most needy including orphans and widows per James 1:27. 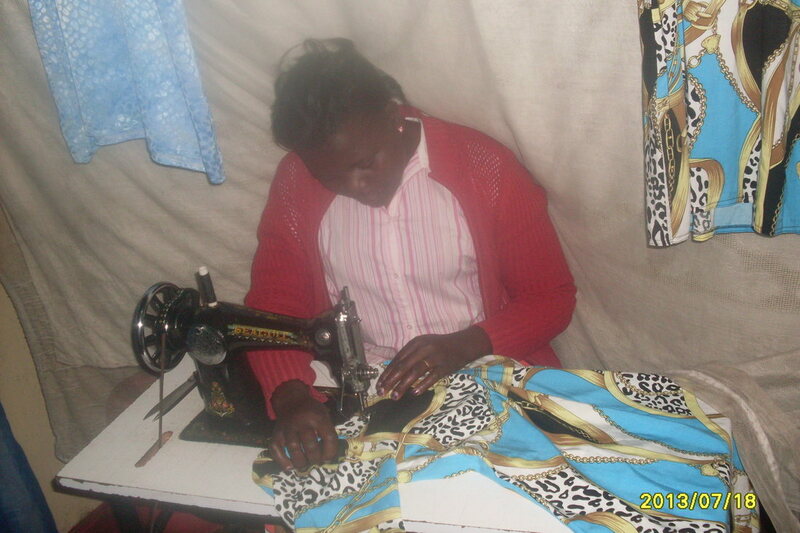 In 2013, we employed needy women in Kenya, Africa to make dresses for us. They then used the money earned to help feed, clothe, and shelter widows and orphans. In 2015, we partnered with CHL (Compassion Haitian Leaders aka Missionary Ladies of the Church of Christ). Our current project is to help promote and support their trips to Haiti, an extremely impoverished nation, helping to feed starving children who have resorted to eating mud cakes (patties literally made from filthy dirt). In Haiti, our neighboring island right off the east coast in the USA, many are suffering and dying daily from diseases that are curable and many have lost their lives due to inadequate supply of essential resources including water, money, food, and health care. 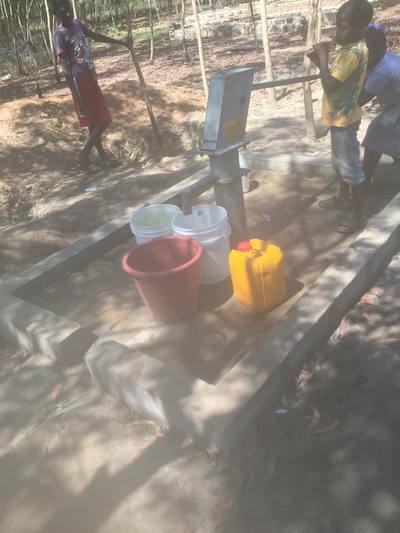 Sheryl Murrah, (the founder of CHL), and her team of missionaries, travel to remote villages that are normally abandoned by others due to dangerous road conditions. They visit orphanages, hospitals, prisons, and nearly thirty churches of Christ distributing much needed supplies including food and clothing. CHL also distributes Bible tracts to the needy residents. In addition, they give donated monies to church of Christ preachers, teachers, and workers to help them carry-out their daily functions.Unlike the USA, there is no government assistance for children or widows in Haiti and the church members are too poor. Unless we help, many of them will continue to die of starvation and disease. Please make a donation today. Any size amount will help. In addition, Terri and her husband Brian (a gospel preacher in the church of Christ) are in the process of launching a church of Christ outreach center where it is much needed, in Las Vegas, Nevada. (Please see below how the funds will be used). They are also seeking members of the Lord's church to help with this launch that will officially take place, Lord's will, in 2019. In the meantime, Jesus' Feet also gives away FREE KJV Bibles to anyone in need and distributes money along with Bible tracts to beggars and the homeless. Terri is also in the process of launching a support group for teen mom's who need spiritual guidance and emotional and financial support. WHY SHOULD YOU HELP SUPPORT THIS NONPROFIT? · God in His Word commands all Christians to love everyone and to help the poor and needy, and not only those in our congregation. (Matthew 22:37-40; James 1:27). · Part of our mission is to spread the gospel. i.e. when the needy are helped by Jesus’ Feet (unlike many others organizations that help the needy) they will hear and be taught the full gospel of our Lord Jesus’ including the command to repent and be baptized (Matthew 28:18-20; Acts 2:38) and they will be provided with that opportunity. · Your support counts and makes a difference. · All donations are tax free and tax deductible. (NV and US tax code). · Feed and clothe starving children and the world’s most needy including widows and orphans in third world countries and in the USA. 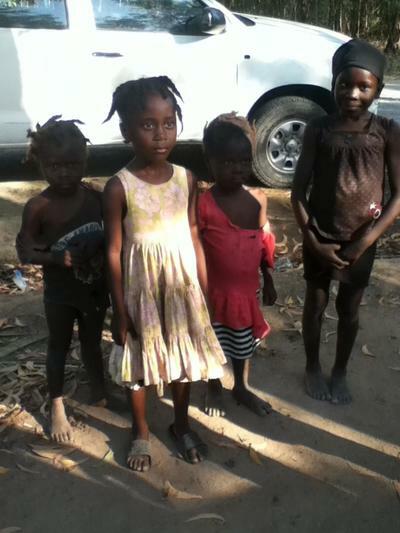 · Distribute needed supplies, including Bibles, to the poor in the USA and third world countries. · Give emergency food and shelter for the needy in the USA. i.e. poor, homeless and runaway teens. · For temporary shelter and items for members in our support groups i.e. unwed teen mothers, widows, victims of domestic abuse, alcohol/drug rehab, unemployed, etc. · Provide pre-counseling help for drug addicts, runaway teens, abused persons, homeless persons, unemployed, families and those facing marriage crises such as divorce and domestic abuse, etc. 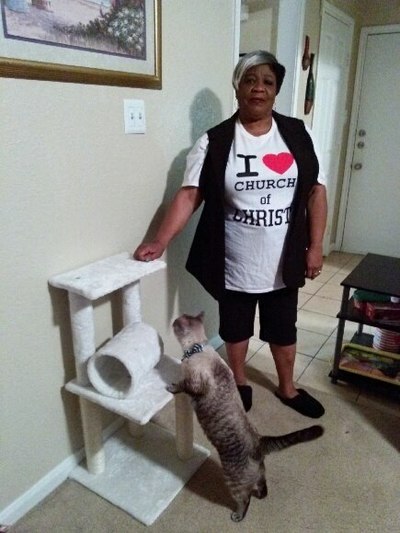 · To pay for a (proposed) shelter and store-front (in Las Vegas, Nevada) and to raise funds to build a self standing building to house our headquarters to be used to teach Bible classes, pre-counsel those in need, etc. · Help train preachers and plant/launch churches of Christ throughout the USA and the world. · Purchase office supplies and office furniture including desks, chairs, and computers. · To print our newsletter, pamphlets, brochures, etc. to help raise needed funds. Photos l to r: Seamstress Maureen in Kenya, Africa, making dresses for Jesus' Feet which are for sale on this web site. 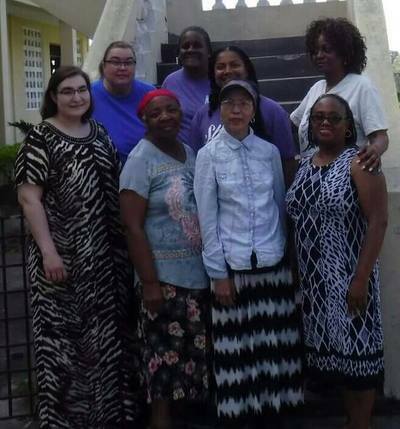 The funds were used by them in 2013 to help feed, clothe, and shelter widows in Africa; Lady missionaries to Haiti 2018: a new well built in 2018 that will supply water to the poor in Haiti; a few of the children in Haiti who are being helped by the donations and support of Jesus Feet; Wanda, a sister in the church of Christ wearing a I love church of Christ T-shirt purchased to help support Jesus' Feet. Please Click the Jesus' Feet Icon to Make a Donation Today! Subscribe to receive real help and guidance from a godly perspective.